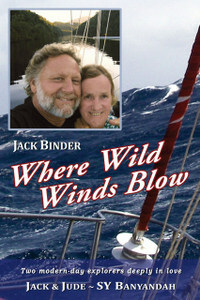 One week in port filled our boat with more fine food, more booze, and a new bottle of cooking gas, then we were off into the never-never again to complete a bit more of our latest and greatest tome on sailing life afloat. 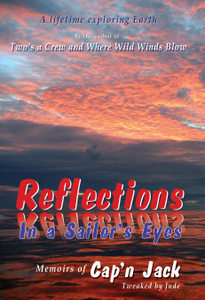 Before heading off we made wonderful connections with the family, enjoying lots of giggles on Facetime, fixed up a few boat and home issues, and as well as launching a couple of new YouTube videos and writing a blog that’s now last months. After sailing back to our hidey-hole in Farm Cove, it began to rain, which pleased us, cooling things down and settling us into the dreamlike existence so beneficial for recreating The Four J’s adventures around the world. This one’s for the grandkids, and to give them the complete picture we’re weaving into the main storyline a bunch of their fathers’ journal notes from when they burst into manhood. 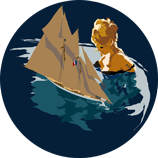 After this second spell, which lasted nearly three weeks, it’s pleasing to say that we’ve nearly completed the first draft, a whopping 180,000 words describing a three year around the world voyage. 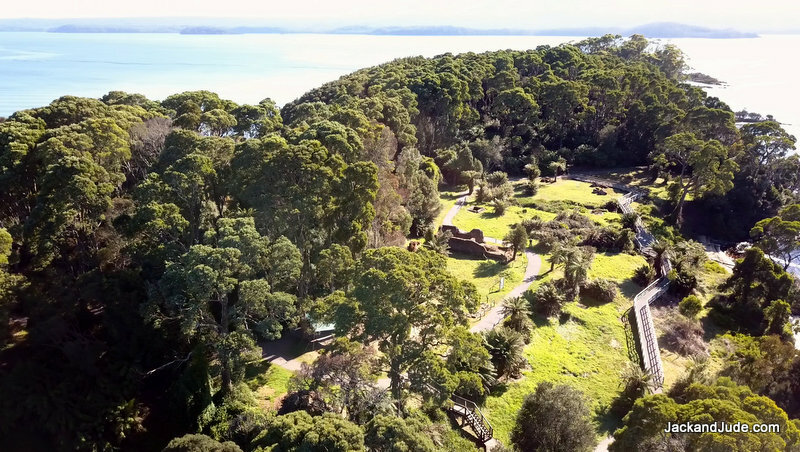 Only ruins remain of the convict settlement on Sarah Island, which lies 18 miles south of Strahan in Macquarie Harbour on Tasmania’s west coast. 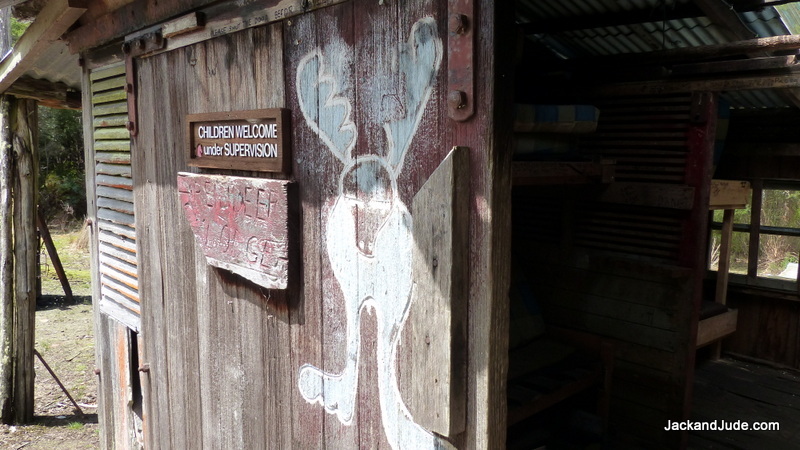 Established by Governor Sorell in 1822 as a “Place of ultra-banishment and punishment for convicts who had committed further crimes in the colony.” A colony where convicts outnumbered free settlers and many absconded to become bushrangers. 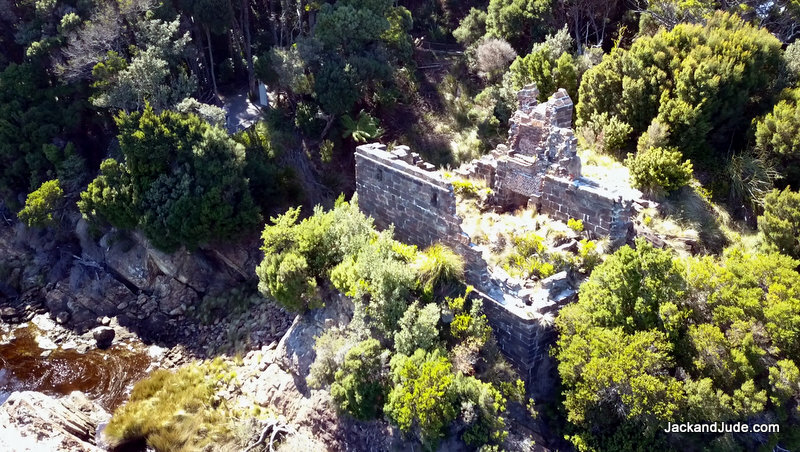 The ruins, exposed to the harsh environment, have deteriorated a great deal, and they were further damaged by vandalism after Strahan was settled in the 1880s, the result of the need for building materials and the shame Tasmanians felt for their convict past. 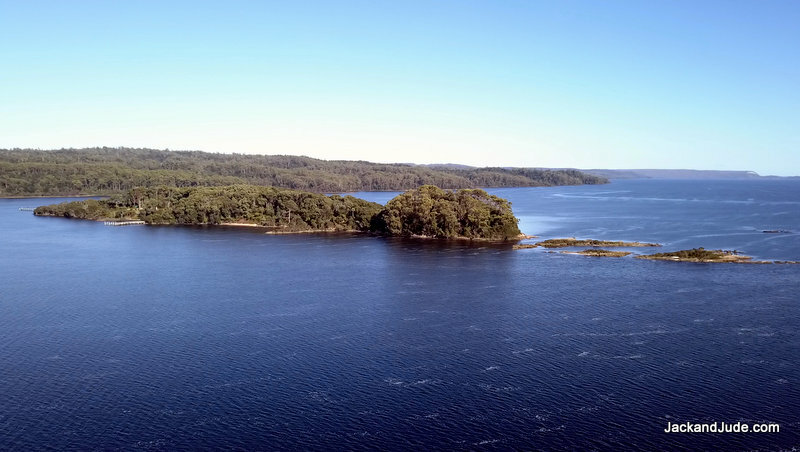 To open the new penal settlement, a total of 110 persons were sent to Macquarie Harbour, 44 of bad character and incorrigible conduct, 22 convict tradesmen and eight female convicts accompanied by a military detachment of 17 with three wives and 11 children, with four officers in charge. 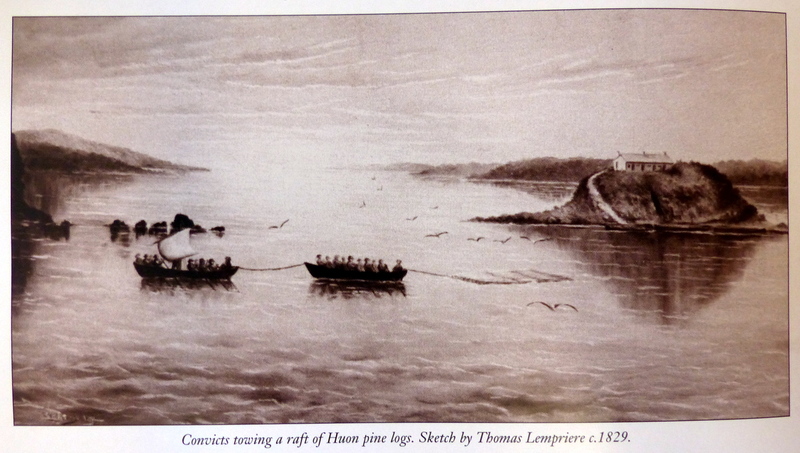 Under the threat of the lash, often in irons and usually on short rations, the prisoners suffered to bring log rafts from the lower reaches of the river to Sarah Island where the logs were grappled ashore, convicts spending hours up to their waists in icy water. Once there they were pit sawn into frames and planks to build ships for the Government. A life most brutal in scenery so grand, resulting in 131 vessels built at the station in 12 years. 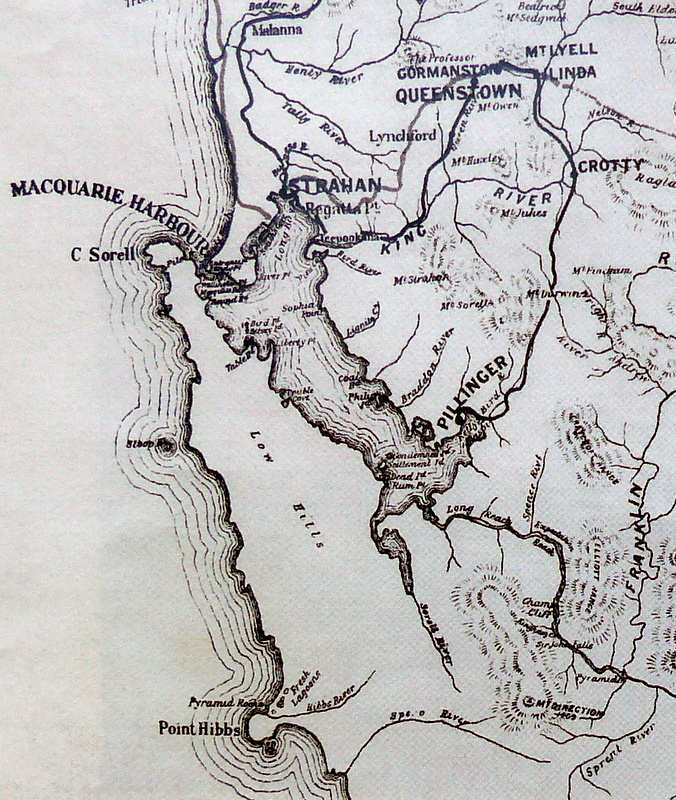 Escape from Macquarie Harbour was seen to be impossible, nevertheless escape did occur. 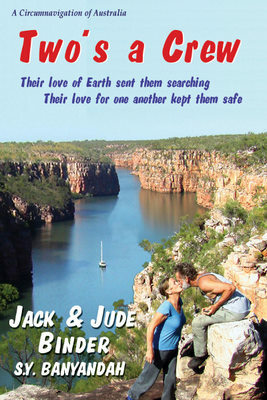 Of the 112 men who tried to escape, 62 perished in the bush, and 9 were eaten by their companions. Punishment was severe, even for minor offenses. Insubordination, losing or breaking tools brought 50 lashes and three months in irons in the cramped jail. 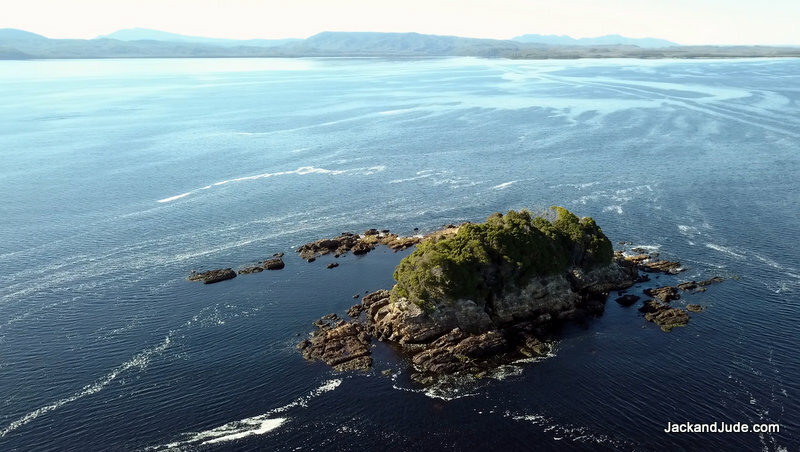 Further punishment was to be left on Grummet Island, a 50 foot high rock half a mile off of Sarah Island where prisoners slept in wet cold conditions. In 1831, Governor Arthur made the decision to close down the prison, mainly because of the dangerous entrance to the harbour. Since its closure in 1833, in an atmosphere of timeless peace, the effect of rain and regrowth of the forest has restored the large trees and green carpets of moss where the brief terror and suffering of the British Empire had reigned. I don’t know of anywhere, other than at Pillinger, where a railway line was hacked through miles of tangled forest, where wharves were built, land reclaimed, a railway station and terminus constructed, a town built, all to be deserted just five years later, and where today that same forest has reclaimed all. 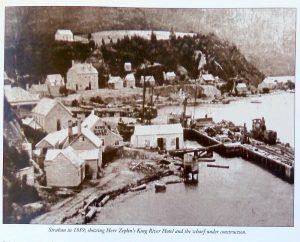 The early history of Kelly Basin and sister Farm Cove borders on fantasy, starting with the earliest establishment of the penal colony on Sarah Island in 1822 when the slopes of nearby Farm Cove were deemed a good place for a garden, but in fact, the heavy soils refused to grow anything better than poor excuses for potatoes. The Sarah Island penal colony had a rather limited life lasting only ten years before the elements finally defeated the resolute British and the whole mess was shifted to a newly built prison at Port Arthur on the East Coast. After that, the west coast lay quiet for a spell. In fact fifty years passed, with just a few eking out a living harvesting the fabled Huon Pine so much in demand for building fine sailing ships. Working out of the north end of the harbour, the tiny township of Strahan met all the needs of these hardy folk, from tucker to shipping out the treasure they brought from the surrounding rainforest. The illusion began in 1883 when looking for gold up and beyond the King River gorge and over Sailor Jacks Creek, and past the steep ridge leading into Lynch’s camp, where prospectors Karlson and the McDonough brothers struck a strange outcrop of black and purple ironstone boulders. At that stage, no one thought to check the copper content on the site of what would become one of the world’s biggest copper mines. After the discovery of copper at Mt. 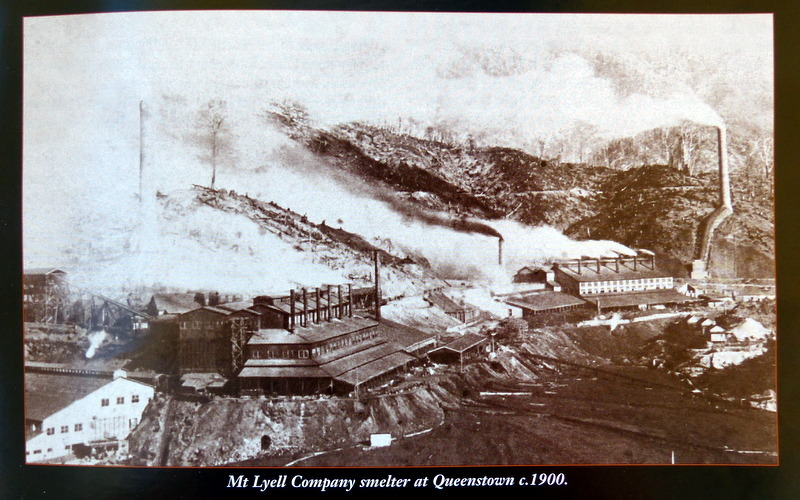 Lyell, there was an investment boom for West Coast copper mines, mainly from Scottish and English investors, and more than 40 companies staked out leases on and around Mt Lyell. Extravagant claims were made as to their enormous ore bodies, but most never paid any dividends and went bankrupt, and were bought out by the Mt Lyell Co.
Then in 1892, James Crotty floated the North Mt Lyell Co to rival them. He intended spending huge sums of investors’ money, duplicating everything Mt Lyell already had, and building their own smelter at Crotty on the other side of the range to Queenstown, and a 3’-6” gauge railway to a rail terminus and port facilities, purposely built at Kelly Basin. The government passed the Railway Bill in 1897, and Messrs Baxter and Saddler, the North Mt Lyell contractors, went straight to work anxious to take advantage of the summer weather. They undertook to complete the railway within twelve months and placed an advertisement calling for 300 first class axe men to work on clearing the way for the railway line. A month later the contractor announced they intended employing 1000 men. The company’s plans for Kelly Basin proceeded in tandem with its railway development. And in 1898, a government land survey was carried out in Kelly Basin where auctioned blocks received record prices for Tasmania. Inside Kelly Basin, Pillinger was to be North Mt Lyell’s port; and in its heyday it certainly looked set to rival Strahan. The main settlement would be at West Pillinger, with the North Mt Lyell works on an area of reclaimed swamp at East Pillinger that the main railway line passed on its way to the terminus on the western shore. An expansive industrial centre was also carved out of the wilderness on both sides of Kelly Basin for ore crushing, sawmilling, and brickmaking. In addition, three wharves were built, the two on the western shore were 122 m long (400 feet) and the one on the eastern shore was 250 m long (800 feet). In 1899, more than 600 men were employed on construction of the town, the railway terminus, a station, and engine sheds. 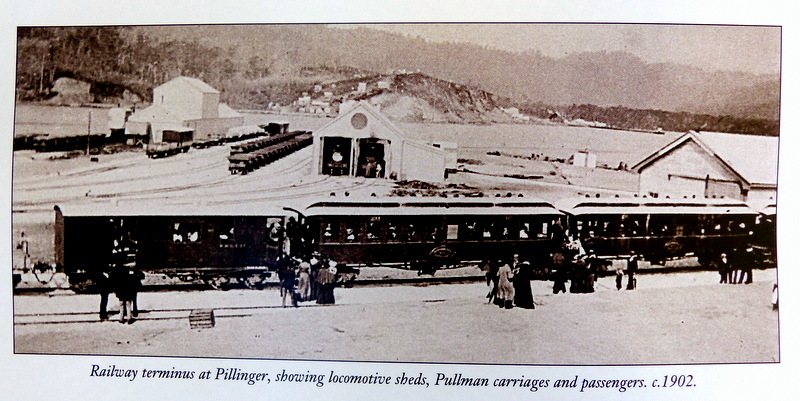 Then soon after, the finest Pullman passenger carriages with plush Morocco leather seats and equally lavish trimmings were imported. The North Mt Lyell lease was on a huge ore body richer in copper than Mt Lyell’s Iron Blow, but the company had extravagantly overspent in its efforts to exploit it, so that after this period of mismanagement the shareholders voted unanimously to sell out to the more successful Mt Lyell Co. At its peak, the short-lived town of Pillinger had a population of 600, with 80 dwellings, and 25 businesses including stores, tradesmen, three hotels, shipping agents, and a coffee palace. 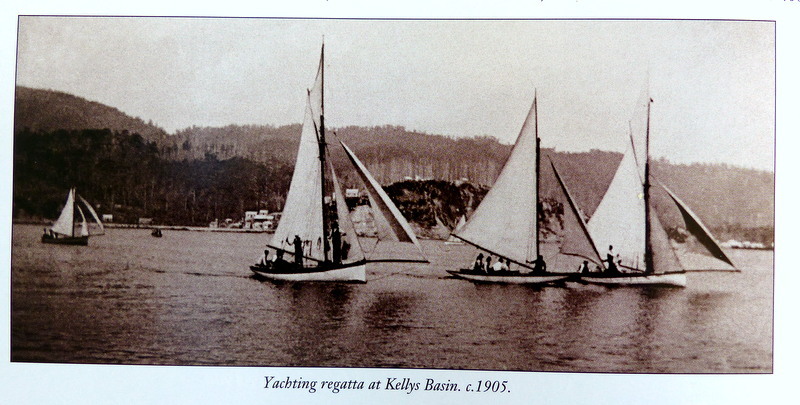 A sailing regatta was even held, with trains arriving packed with visitors from Queenstown and other centres. But, alas, Pillinger’s hotels hardly had a chance to serve much beer before the whole town received the death knell when the company was dissolved by the stroke of a pen. Today, the forest has reclaimed the land. Now very little remains of the town and industrial centre, and the wharfs are mere ghoulish stumps poking out the black waters. But hidden within the dense forest are remnants of that instant of time; brick roads mostly buried by leaf litter and forest matter, brick remains of the kilns, and pub chimney, and on the heath, further out from West Pillinger’s centre lies the lone grave of one its inhabitants. Joseph Brown died at Kelly Basin shortly after Christmas 1900, and although records are scant, judging by his lovely gravestone, he must have been much revered, wealthy, or important. The trains continued to run on the Kelly Basin Line until 1925, but only to collect firewood for the Queenstown smelter. 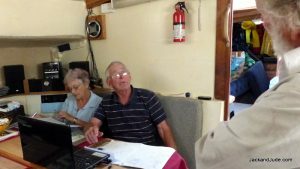 Most of the residents had left Pillinger by 1903, and when the last family departed in 1947, Pillinger was completely abandoned. The rail bed, with tracks removed, now serves as a beautiful walking track alongside the magical Bird River, a day-walk treat for visitors from either direction. Trees were felled to fuel the smelter, and poisonous gases killed regrowth. A week later the weather came good again, so off we went, this time starting from a rather better location further along the shore thinking it’ll all going swimmingly. Humph! Alas, I took a few wrong turns, leading Jude into more thick stuff, but eventually got us to our furthest point and from there into the unknown. Using the topo map, I had plotted a GPS waypoint supposedly on the open heath that, by the path of least resistance, became our next destination. On the way, the forest was lovely, most of it thick leaf litter and fallen branches, but with plenty of still standing dead stuff that fell over when we put a hand on it. I was even bumped on the head by a falling bit. We left just a few deep-red tapes going in, as it is better to do that sort of trail marking on the way home after learning the lay of the land because it helps others following later from becoming confused by out of place red tapes. What’s important though is that we made the open ground at that plotted waypoint then tramped ahead pushing through waist to shoulder height tea-tree and other stuff, and by nearly lunchtime had spied the lone Eucalyptus marking the grave site. Gosh, when the sun’s out in Tasmania, it’s too hot. We sweltered crossing the heath and got a bit dulled by it, and as our backs were wet from pushing through bush we ate out in the sun, and regretted it later. Now, the whole purpose of this jaunt was to confirm the age of Joseph Brown, and to do this on a headstone exposed to the west Tasmanian weather for 118 years, Jude had taken along a few soft etching pencils and good paper. Like magic, her strokes brought to life the full details of this long ago man, who we now feel somewhat attached to. Mind, the blazing sun also made us feel a bit tainted by the macabre. We even worried the area might be haunted by ghouls and ghosts, so we made our etchings, then fled for the living life we love so much. First stop, the tinkling stream that runs just below the grave to fill our bellies and cool our heads before setting off to hopefully find our way back to the safety of our kayak without mishaps. We love this video – Freedom and views forever- So I’ve carried it over for another month. On a particularly nice, windless sunny day after several days working, we decided to stretch our legs to the top of Mt Sorell’s Plateau, which lies just south of the peaks. We’ve climbed up there a few times before, and it’s a good workout, 350 metres up to exquisite views over the harbour as well as west to the horizon of the Great Southern Ocean. We took our revived Mavic along, thinking we’d fly a mission over land just in case it suddenly dropped out the sky. Hurrah! It didn’t, and we got superb footage, which added to the stuff that Jude shot on the ground has made a very watchable video. On the next windless day not long after that outing, we shifted our ship to the shores we’d cleaned during April 2017 Community Harbour Clean-up. Bloody Fish Farms! It was their idea to ‘spur on’ and get the community to clean up their mess. Well, it backfired because on that day, we and many of the community saw just how much trash ‘fish farms’ are heaping onto our shores. But, more than that, we also saw a huge amount of what Jude and I now call, GUNGE. We’ve been told it’s an endemic weed; but that it’s gone berserk with the high nutrient levels created by 5 million fish pooping in what are essentially dead waters. 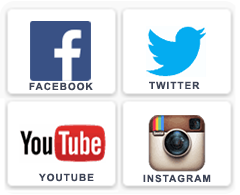 Ever seen what we mean? Green or red blooms on quiet waters created by high nutrient levels. 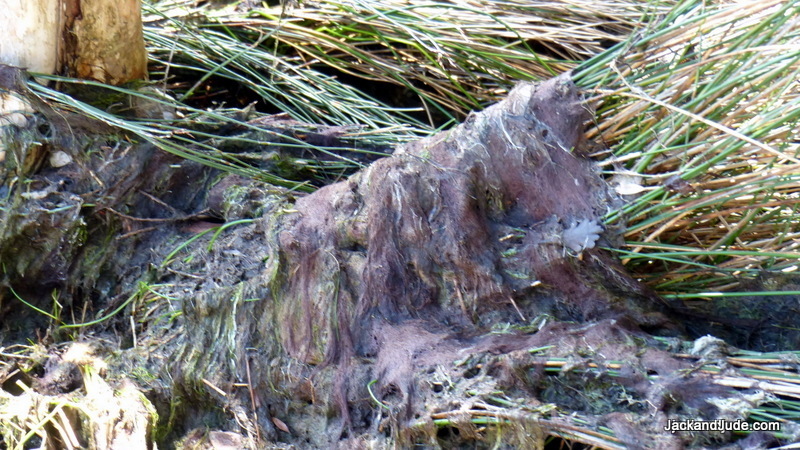 Well, down here it’s a hairy GUNGE that gets blown up onto the shore vegetation and swamps it. Having seen great patches of it during last April’s Clean-up we thought we should investigate how ten months has affected the shoreline’s ecology. So we loaded our camera gear into the Green Machine and paddled to the shores we’d cleaned of trash. We’re very pleased to report that there were only nuisance bits of ropes found, along with those little individual strands that will take days, weeks, or months to clean up. Nevertheless, all the big stuff had been whisked away in the preceding couple of weeks. But the GUNGE had hardened over the reeds and grasses, and over the rocks. To the touch, it was hard and crunchy, a bit like papier-mâché, and pulling it away revealed a real sadness. The ecology had been changed! How many times have we seen this happen before when jobs and growth cloud our legislator’s minds, and we get mumbo jumbo from them that all will be right, when they really don’t know. You can’t rule if you do not get re-elected. And you may have noticed that none of them talk about human population. That’s a real no-no. But frankly, it’s we humans swamping the entire Earth with us, and our trash, and us denuding everything, be it the forests, the oceans, the wildlife, marching us swiftly to a very boring future. It’s work, work, work, till you’re too old to enjoy life or just drop dead. We made a video clip of what we found there, starring Mr. Harry Wombat. Strange how things happen. We had taken our portable VHF to the top of the plateau and from there had spoken with Trevor, master of Stormbreaker, when seeing him going into The Gordon to collect another lot of rafters that were coming out after doing the Franklin River Run. Each season he travels fifty or sixty times upriver to pick up rafters. While chatting with Trev, we mentioned seeing Max and Marie on Why Knot pull into their favourite cove at Kelly Basin. Next day, who showed up? Yep, Max and his beautiful, 4’10 ½” bride, who celebrated 80 years of life just a few months ago. Salt of the Earth they are. 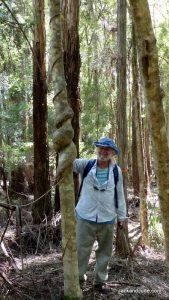 Max is a member of Friends of Macquarie Harbour, and a Strahan local who has been just about everywhere around Macquarie Harbour and the west coast; he knows all the tracks and can still walk most of them. Marie has to be a bit careful, but still gets about nicely, and she bakes the best cookies. Yum! In two long sessions, we talked a blue bat into being red, and in that time learnt from Max where the old grave in Kelly Basin is located. Been trying to find it for years we have. Max even drew a sketch for us this time. Crikey, we’ve been searching the thick stuff on the wrong side of the ridge! A few days after they putt-putted off in their forty-five foot ferro palace, the weather was sparkling and we needed a break, so we loaded up the Green Machine with nothing really in mind, just to see how the day went. Nevertheless, that morning I had worked out a Mavic mission to where I thought the big ‘gum’ tree that Max had said was where the old grave lay, and then we paddled off across Kelly Basin. Jude shot some beautiful stuff from the kayak going into West Pillinger, and then more of what had been a bustling town a hundred and eighteen years ago when the area had been the centre for exporting copper ore from the North Lyell Mine. Funny how things happen. In the decade before nineteen hundred, a gang of young lads carved a course through thick west coast rainforest for a railway line so that the ore could be transported to Kelly Basin. But it only lasted a few years before the two competing companies amalgamated and all shipments then went on the other railway through Double Barrel to Strahan. Today the old Kelly Basin rail bed is an easy walk up the beautiful Bird River from East Pillinger. Across the basin, at West Pillinger was the main town that has been consumed by forest again, except where the locals have a pretty nice shack called Reindeer Lodge, a high flaunting name for a free bed and warm fire. There’s a lovely shady walk from it down what was once the main street, but in the other direction, a ridge trends away from the derelict outer wharf. The track rises about a hundred metres over a kilometre distance and then opens out onto a button grass plains overlooking Farm Cove. I launched our bird from Reindeer Lodge feeling a bit uneasy and then flew it down the valley towards the end of that ridge, and then around the end of it to where Max had said stood a large lone eucalyptus. From there, the bird came back over the top, above the hundred metre high forested ridgeline. It was scary because halfway through the flight, the hill blocked the signal to my controller, and so it was with great relief to hear the bumblebee buzz of it returning. With that mission successfully completed we set off in long pants and boots through the bracken to where Max had mentioned the track of sorts he’d cut and marked a couple of years ago. When Jude and I walked that ridge some four or five years back, we found it a bit thick with bracken, but lovely and cool because of the tall forest both sides. Since then Max and his mate Crossy have been at work on it, and the first stretch we found rather easy to follow because it’s along a narrow ridge, without a lot of tree fall to make it hard on your shins. After an hour’s walk we came to where we’d made the wrong choice, and this time following Max’s red tapes, went west instead of east and came out overlooking the neighbouring valley, where a few hundred metres further on stood a lone eucalyptus tree surrounded by low bushes. Geez, when we got to it, threading our way through those bushes revealed an impressive gravestone in a nice clearing, obviously kept that way thanks to Max and others who cherish local heritage. Carved into that headstone is: Joseph Brown, died Kelly Basin 1900, aged 15 (we now reckon it’s 45 after a close look at the photos). It is strikingly so alone with a grand view of Mount Sorell and covered in decorative, floral patterns of lichen. The drone footage, blended with the video taken by Jude around the lodge and on the track, has been made into a very enjoyable twelve-minute clip. It and the other five clips made these past six weeks can be seen on YouTube or if want to view the ridgy-didge Full HD versions on your laptop or widescreen, get our Memory Stick, which also contains all our films. We’re in the midst of a wet spell here in Strahan, catching up with web work and boat maintenance. When it ends we’ll be taking the first northerly down harbour again, for another crack at completing our next book. Till next time, we wish you fair winds and safe anchorages on all your journeys in life. Great footage, both land & air… Great tool that drone ! You both will never fail to amaze Jen & I and thank you for the great memories of times we have shared a tiny little insight into your lives. Take care of yourselves and hopefully we will catch up again. Love reading your blogs and you guys are becoming experts at creating videos . We love the drone photos ,it’s all so fantastic. Concerned about all that grunge and crap in Macquarie harbour as well as the D’Entrecasteaux channel and soon to be polluted oakhampton bay . The pure greed shown by fish farmers and the mess they create cannot go unchallenged. Wonder why Cassie O’connor hasn’t been more aggressive on this subject. 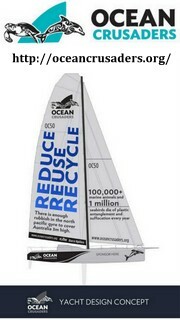 We support you fully in your quest to clean up these areas. Curious about Pillinger and wonder how hard it is to walk in. 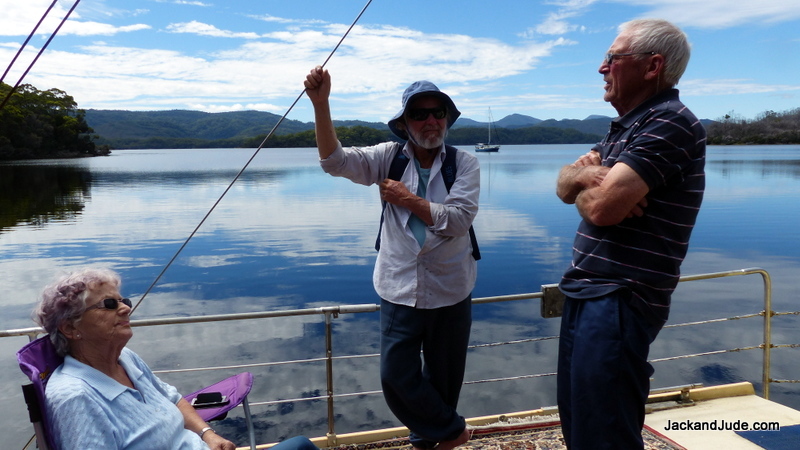 We live in Tassie and have a small Motorsailer and hope to get around to Port Davey before winter sets in or maybe next summer. Hello Des and Marly, Thanks for the nice compliment. Making videos is our passion, time consuming, but fun. Thanks for the heads up on Cassy, we’ll send her some info, we need all the support we can get. The walk to the grave from West Pillinger is mostly OK. Someone from our group will be going there soon to cut away the nuisance branches fallen across the ridge track, after that there’s a bit of following your nose through tall tea tree till you get in the open on the rim of the valley. From there, you can see the lone Eucalyptus. I should post some GPS positions on a Grave site page. If you’re fit it’s an hours walk one way. But not a made track. The walk up the Bird River is exquisite and on a formed track, one of the sixty best day walks in Tassie. Thanks for your reply and heads up on the track . Sounds stunningly beautiful. We certainly have a beautiful island with so much history . 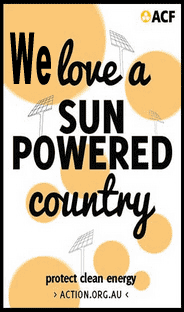 But we need to look after it for future generations.